As long as I live, I'll be loving my family and recording their moments. Fuss Free: As Long As I Live 2 and Fuss Free: As Long As I Live 3 were created so that I could do just that. I added in paint and stamping for the background as well as all the bits and pieces I love to add to my pages. I hope that this template set will assist you as you love and record your memories too! 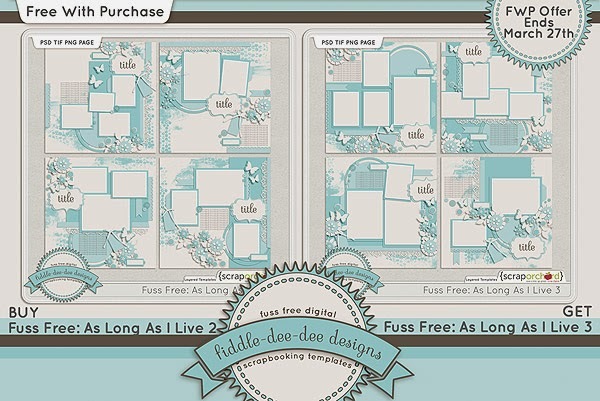 Purchase Fuss Free: As Long As I Live 2 and receive Fuss Free: As Long As I Live FREE! Offer valid through March 27, 2014. 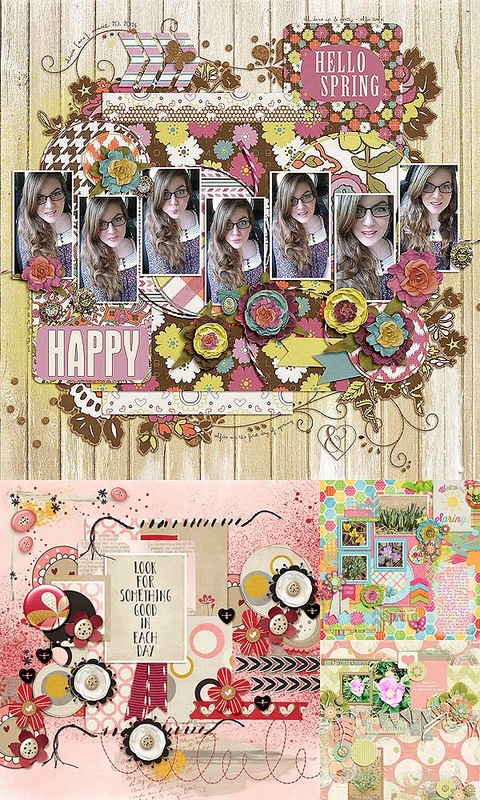 March's Fruit of the Month Collection contains kits by Dream Big Designs, Tickled Pink Studio, Amber Shaw Designs and Crossbone Cuts. If you purchase all of the products in the Fruit of the Month category, you will receive 50% off and receive the Add-On FREE! Have a great week scrapping all your precious memories! Man, has it been raining around our part of the country lately and I've definitely been hearing the drip drop of rain! Fuss Free: Drip Drop 3 and Fuss Free: Drip Drop 4 feature paint that has been dropped on the layout canvas with an eye dropper. The paint serves as the perfect backdrop for multiple and single photo layouts, and lots of flower clusters! 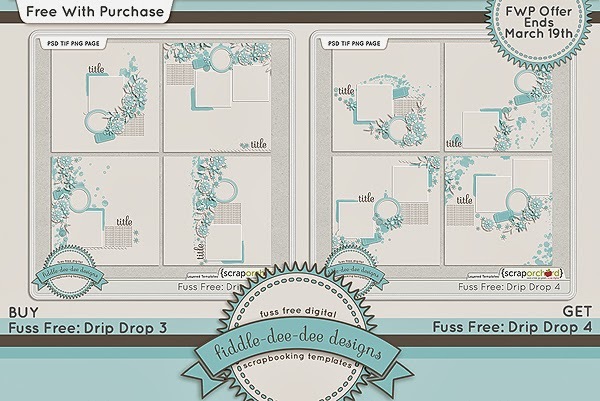 Purchase Fuss Free: Drip Drop 3 and receive Fuss Free: Drip Drop 4 FREE! Offer valid through March 19, 2014. I'll have a free template in the Scrap Orchard newsletter, The Buzz, so make sure you are subscribed so you don't miss out on this exclusive free template! I hope you are enjoying creating, no matter what the weather is like where you are! Our lives can be forever changed if we just let love grow. 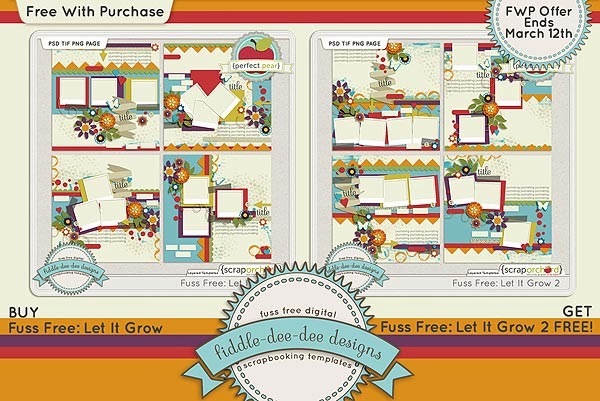 Fuss Free: Let It Grow and Fuss Free: Let It Grow 2 templates are a fantastic choice to show your love on your layouts. From family to friends, to favorite foods and books, use these layout guidelines to help you express your love and let it grow! 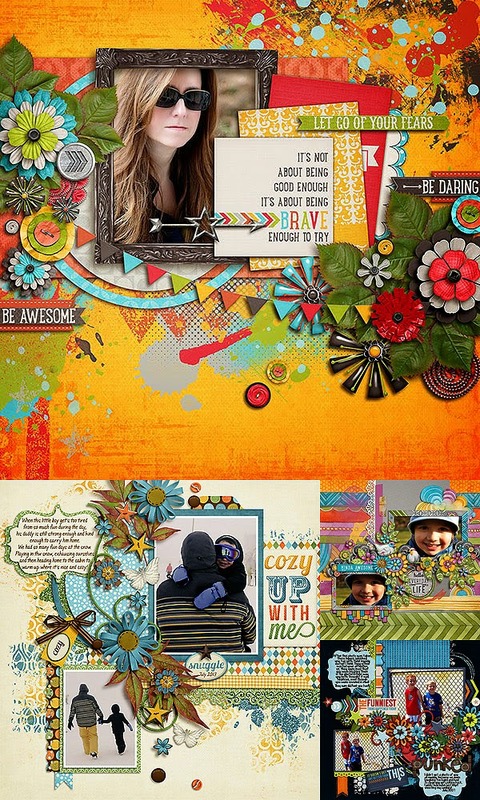 These templates coordinate with the Let It Grow Bundle by Ziggle Designs. Purchase Fuss Free: Let It Grow and receive Fuss Free: Let It Grow 2 FREE! Offer valid through March 12, 2014. 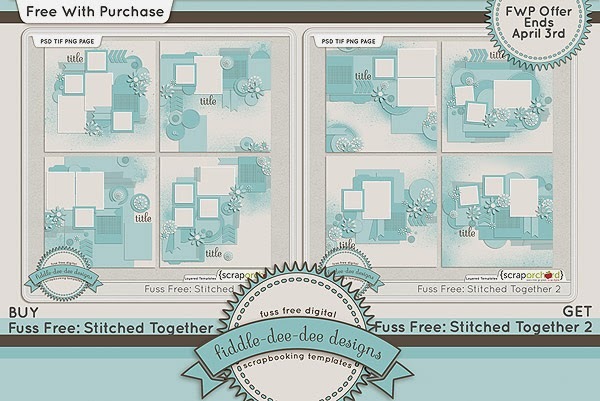 A new freebee template will be available on the Scrap Orchard Blog next Tuesday (March 11, 2014), so be on the look out for that. Also, I'll have a free template in the Scrap Orchard newsletter, The Buzz, this month as well, so make sure you are subscribed so you don't miss out on this exclusive free template! Have a fantastic week ~ show your love and share your love!